To gain an understanding of energy automation systems, let’s start with the sonnen ecoLinx. The ecoLinx is the first intelligent energy storage system that can be linked to home automation systems through PanTech Design’s ADAPT software platform. The ecoLinx is essentially a very intelligent battery system capable of storing clean solar energy as well as energy from the electric grid. Combining the ecoLinx with home automation software like ADAPT forms the core of an energy automation system. ADAPT increases the system’s intelligence by using smart technology to anticipate potential energy demand, storing energy during off-peak hours and discharging it during peak times. ADAPT and ecoLinx intelligently regulate energy use in the home to assure that a home’s ecosystem - including climate control and sensitive electronics - continue to operate smoothly. The ecoLinx can take advantage of weather forecast data gathered by the ADAPT software from NOAA and dynamically modify how much energy to store to maintain systems through a grid outage. 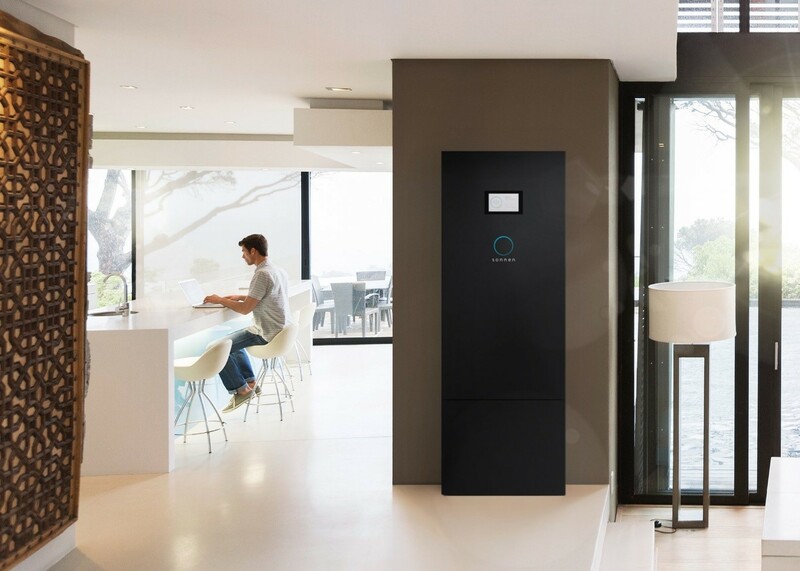 If a severe storm is coming that might knock out grid power, the system can increase the ecoLinx battery reserve percentage in anticipation of the event. Based on the type of grid outage that’s occurred, the ADAPT software also controls the loads in the home to make sure the battery will last as long as necessary. The sonnen ecoLinx can manage excess energy production from solar panels dynamically. When paired with ADAPT and Eaton intelligent circuit breakers, the system can also tailor consumption when a power event occurs which requires the energy backup source. In the event of an outage, ADAPT can set the priorities for the breakers that remain powered and can regulate consumption to ensure that backup power is used efficiently. Further, the ADAPT system allows the homeowner to prioritize loads based on their lifestyle including climate control, appliances, AV systems, or anything else controlled by smart switches. ADAPT energy automation can optimize the availability of clean energy when it is least expensive – like off-peak times – and limit the use of grid power when it is at its most costly or if participation in a demand response system is necessary. An example of this is the ADAPT software communicating with the home automation system by dimming lights, lowering shades, and turning the climate control to an economical setting, allowing the sonnen ecoLinx to build the power reserve so that less expensive, clean reserve power is available during costly grid peak load times. Our need for power is certainly not going away. The fossil fuels that still power a large part of our energy infrastructure are increasingly expensive to produce, and they have a significant impact on our environment. The energy infrastructure is aging, and we are still a long way off from meeting the demand for energy with clean and renewable sources. As a result, solutions like ADAPT Energy Automation can help on many sides of this issue by reducing consumption and waste, as well as reducing the strain on the current infrastructure. Demand response is the utility companies’ solution to managing energy consumption during peak times. It means being able to get customers to reduce consumption when power delivery is strained. The combined power of the of ADAPT and sonnen systems are the “Holy Grail” to intelligently adjust to demand response and lead us to a more sustainable energy future. Want to learn more about the power of ADAPT home automation? Please contact us; let’s start the dialog.